To be honest after 2 days of going to markets the boys felt they needed the morning off and opted to stay at the house whilst hubby & I headed off to Forcalquier for the morning. 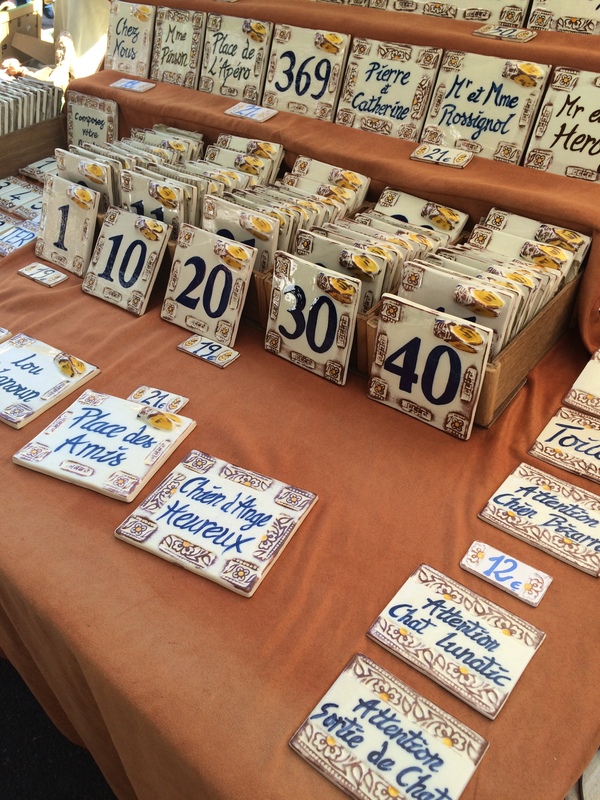 As I mentioned last week the market at Forcalquier seems to have more of a local craft focus than some of the others and it also doesn’t seem to be as packed as L’Isle Sur La Sorgue, so is a really nice way to pass a few hours. 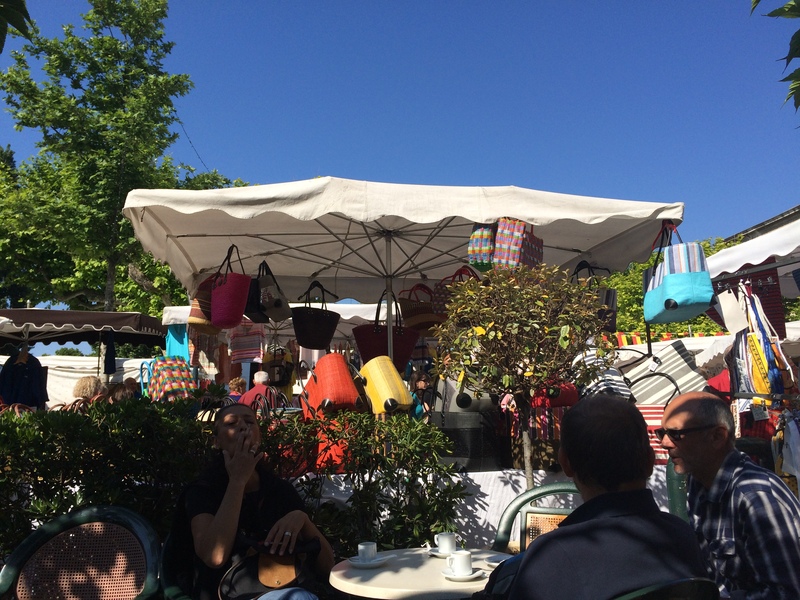 Inevitably the day started for us with a café crème and croissant at the Café Le Bourguet on the main square, to set us up for the next couple of hours of wandering around the stalls. 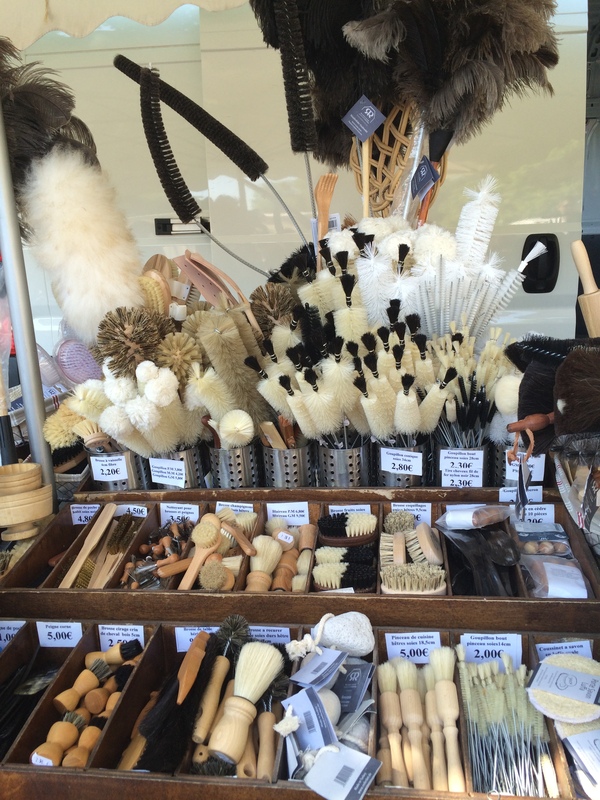 The market has all the normal stalls, although I was particularly impressed with this display of cleaning equipment on one stand, somehow it managed to make the daily chores look more attractive. How can scrubbing brushes & dusters look so artistic?? We quickly bought a ‘poulet-roti’ and a basket full of fresh fruit & vegetables for supper, before really taking time to look at the range of crafts that is on offer there. 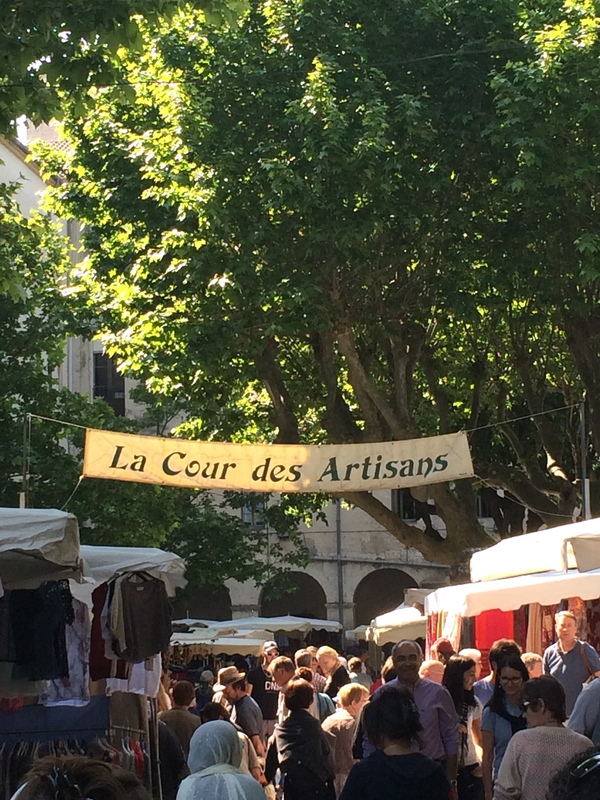 There are craft stalls dotted throughout the main market, but there is also the ‘Cour Des Artisans’ that is tucked into a courtyard behind one of the main market squares. 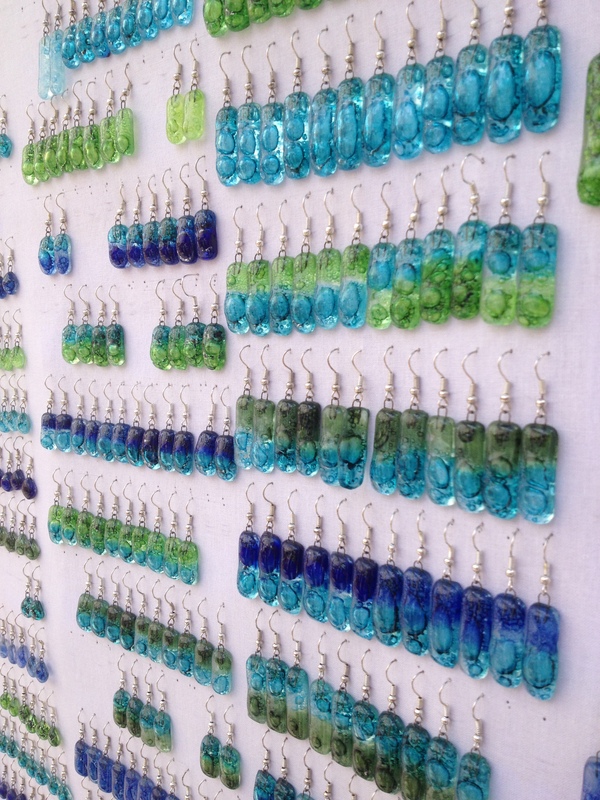 The stalls here stock a wide variety of handmade items from clothing & jewellery to paintings & pottery & it is nice to be able to spend a bit of time looking at what is on offer. 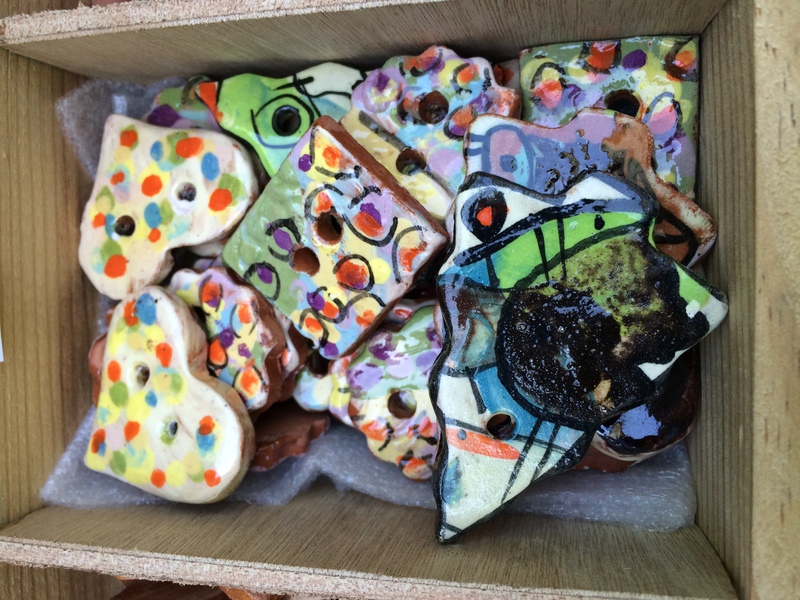 I also bought more of the colourful & beautifully shaped ceramic buttons, made by Elisabeth Vivet, who has a studio in Sisteron together with a selection of beautifully coloured leather strips, which I fully intend to make into necklaces when I get home. They will be a bit different from the silver jewellery I have started making recently, but they will look great. 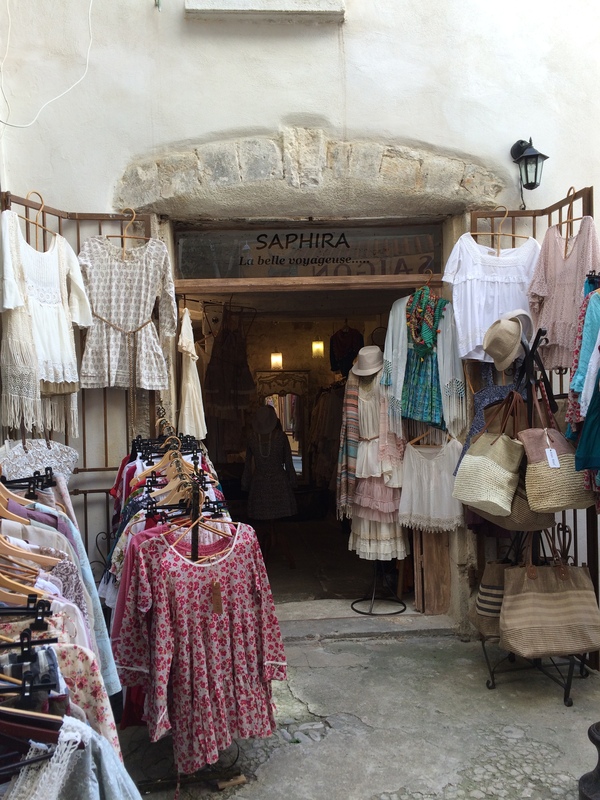 After spending a good while pottering round the courtyard we headed across the road and into the narrow streets of the old town, where there is a great range of small shops selling unusual homewares, clothing & accessories. On the main square there are some great shops, one displaying the work of Eric Litschky www.feretmatieres.fr who sells his incredible iron sculptures, including chairs and small tables as well as gates, through to key rings that certainly would be very difficult to lose. His work is quite stunning and certainly worth a look. Then onto the small shop of Sylvain Ange who makes some lovely jewellery, including beautifully coloured glass earrings & pendants www.bijoux-ange.fr – again a few pairs found their way back with me & I am looking forward to seeing how I may be able to combine some of the glass drops with silver to make some more individual pieces of jewellery when I get home. 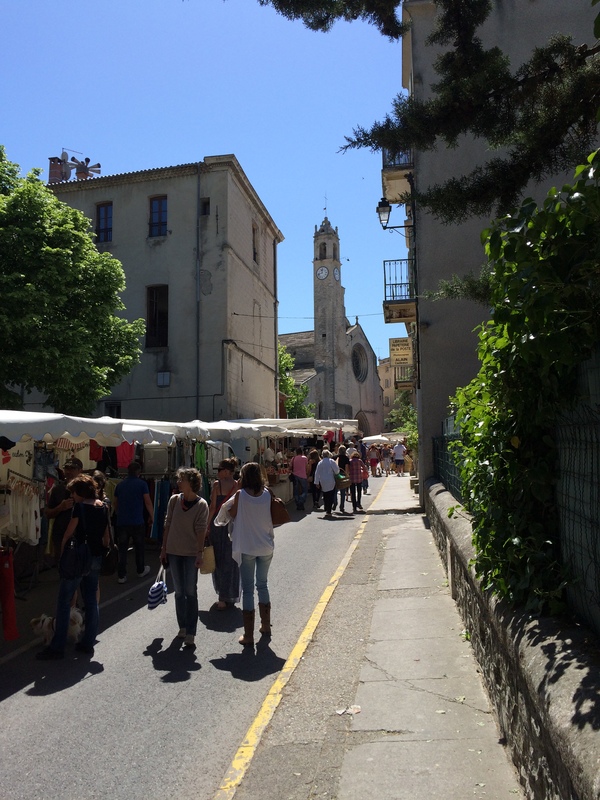 All in all it was a great morning out and Forcalquier is quickly becoming a favourite place to visit, whenever we are here – it is a nice town with a nice relaxed feel to it and if you like crafts or something just a little bit different then it’s a good place to visit. It goes without saying that the boys were happy to have avoided going to a market & were relaxing by the pool when we got back, happy to head off for a walk this afternoon. 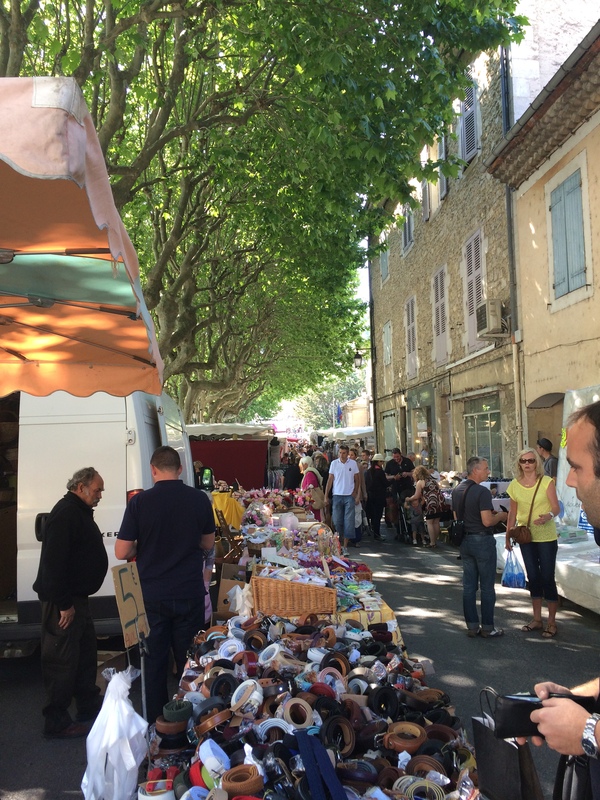 Tomorrow, all being well, it will be back to the bikes, although where we’ll head off too, I’m not too sure…..
Next Post Two Weeks in Provence – Day 11 – One of Mum’s 10 minute walks. Sounds lovely; and alone time together with ‘boy #1’ too! Enjoy the rest of your hols. Scorchio here in Devon. Yay!